Damselflies (Enallagma spp.) found on Calvert Island. Photos by, clockwise from bottom left: Christian Kelly, Jennifer Walker (two top left), Maria Shallard, and Brian Starzomski. The damselflies pictured here all belong to the genus Enallagma, and are either northern bluets (E. annexum) or boreal bluets (E. boreale). These two species can only be differentiated when examined in hand, and even then identification can be tricky. 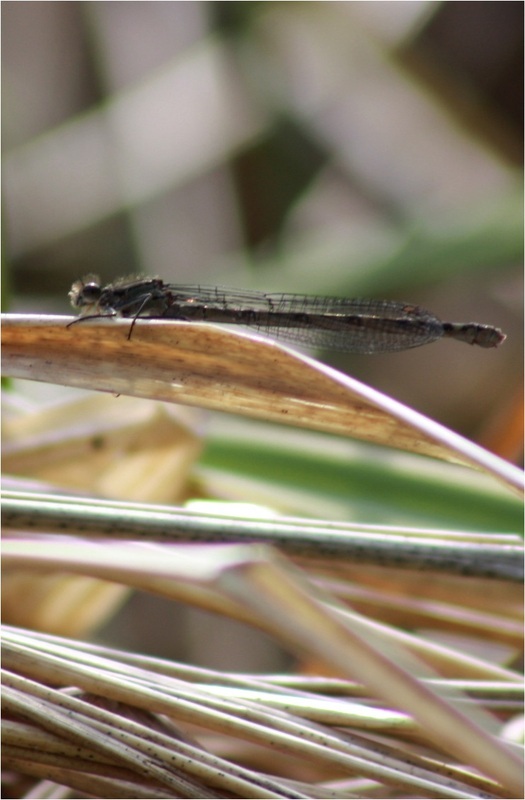 Species of this genus are considered to be small- to medium-sized damselflies, and are mainly blue with some black markings; the amount of black varies between species. 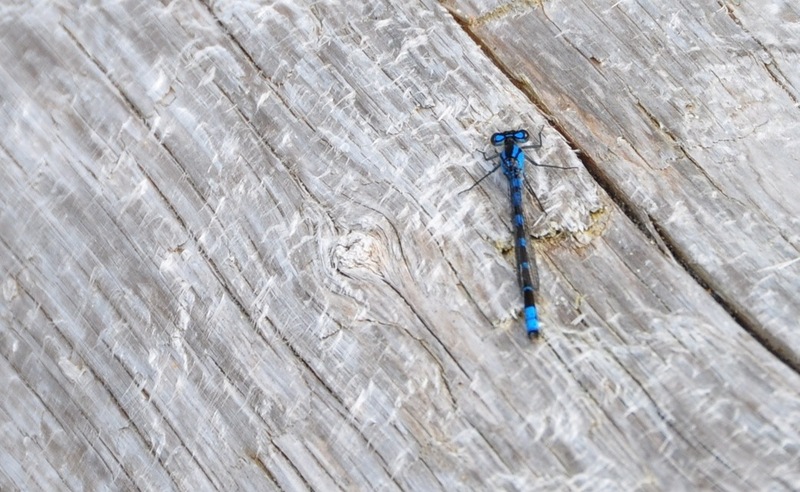 Boreal and northern bluets have very similar colouring, however, and can only be distinguished with magnification of the abdominal appendages. Both species are mostly blue, with large postocular spots that together form a dumbbell shape. The thorax has a narrow humeral stripe and a wide medial stripe. Black markings on the abdominal segments of males are as follows: bar (may be crescent-shaped) on segment 2, rings on segments 3-5, 6 and 7 are mostly black, and the top of 10 is black. Females are either brown or blue, with the same thorax stripes as males and a mostly black upper abdomen. Segments 9-10 are all black, segments 3-8 have pale basal rings, and 8 is mostly blue or brown (rather than mostly black as with males). Males have blue eyes with a black cap, and females have brown eyes (dark brown over light brown). 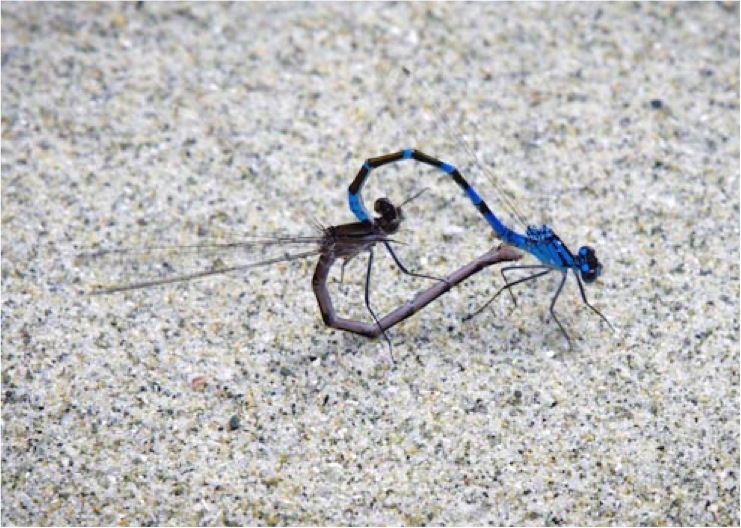 Northern and boreal bluets are generally identified together as "borthern" or "nobo" bluets as they are nearly indistinguishable in the field. A field ID guide such as Dragonflies and Damselflies of the West (by Paulson, listed in references) and a hand lens should be used for proper identification, though the following images may be helpful: (1) figures b (northern) and e (boreal); (2) the comparison image under the Northern and Boreal headings. Northern and boreal bluets are found in similar open, marshy habitats around the margins of lakes and ponds, and often occur together in parts of their western ranges.Northern bluets. Both species are found throughout BC, and range across much of Canada as well as northern and western USA. These two are the only Enallagma species found on the Central Coast. 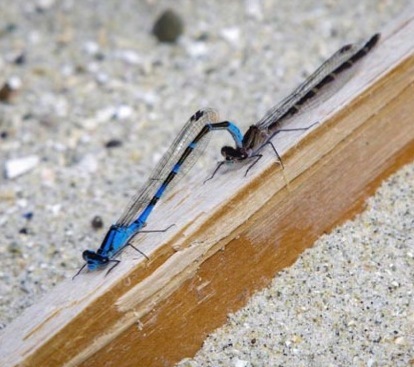 Other species of this genus overlap ranges with northern and boreal bluets in more interior and/or southern areas of BC, including tule (E. carunculatum), alkali (E. clausum), and marsh (E. ebrium) bluets. 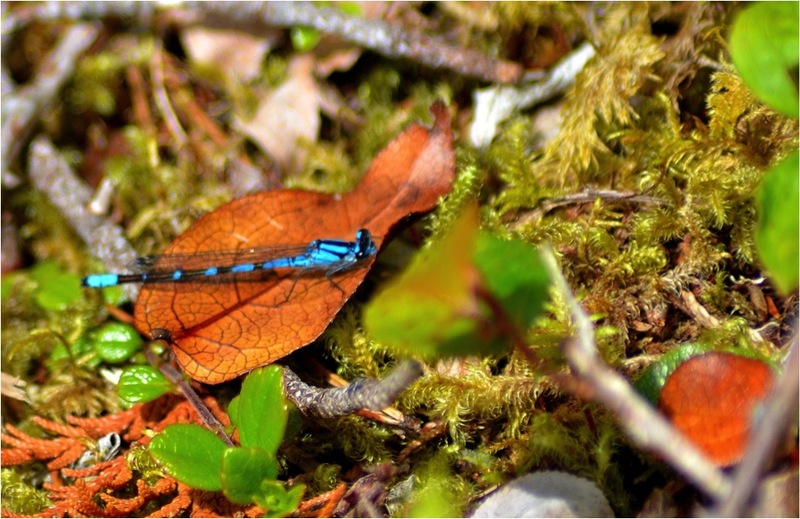 These two bluets have similar flight periods in BC: late April (boreal) and early May (northern) to mid or late October. Northern bluets used to be named E. cyathigerum, along with a very similar Eurasian bluet species. The two are now recognized as genetically distinct species. Paulson, D. (2009). Dragonflies and Damselflies of the West. Princeton, NJ: Princeton University Press. Pp. 87-90.